Attend this exhibition where over 500 undergraduate students returning from their placement year will share posters and talk about their experiences. 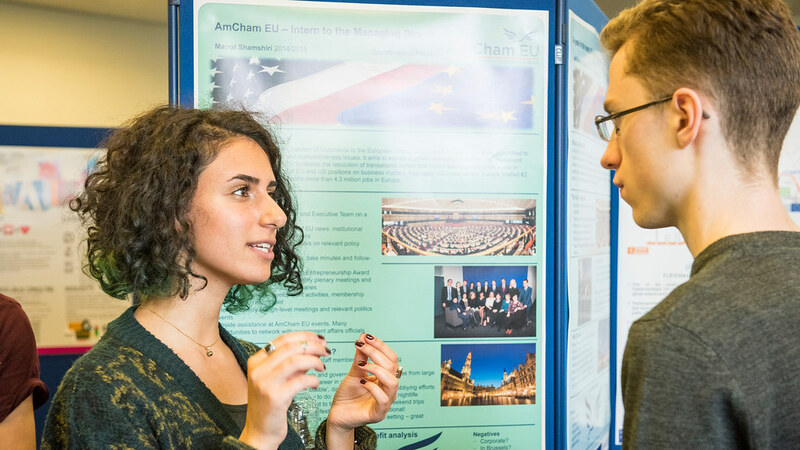 The Faculty of Humanities & Social Sciences is organising the first joint Placement Posters Exhibition for students from the departments of Economics, Education, Health, Politics and Social & Policy Sciences. This is a fantastic opportunity for the 1st and 2nd year students to talk to over 500 returning students about their placement experience. The returning students will be there to answer questions about the application process, settling in a professional environment, particular job responsibilities, working and studying abroad and so much more. Throughout the event, Placement Officers will be happy to give further advice on placement-seeking. A light lunch and refreshments will be available. You can follow the official Facebook Event for more details.